New year, new paths open ahead. ThinkOut has undergone transformations and has set on a path that is aligned with the shifts in the tech world and people’s mindsets. We haven’t quitted the cash flow stage, we’re only aiming to make it so easy to use, that it would become part of any entrepreneur’s routine; no stress, no sweat. In an article from October 2017, TechCrunch columnist Jon Evans pointed out how the future belongs to those tackling into AI, Machine Learning, Internet of Things – technologies mainly available to the big players who can afford the development costs. Set aside the debate whether this new market shift is going to define the next decade or not, what stands clear is that the trend is set for more automation in every aspect of our lives. Let technology deal with operations, while people analyze, draw conclusions, strategies, think and act accordingly. 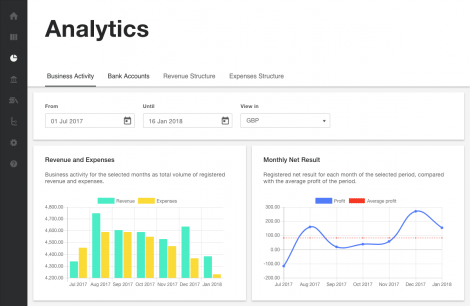 To cut the story short, though we are not quite there yet (Machine Learning, AI, IoT), we’re aiming to automate most of the functions on ThinkOut, so that cash flow analysis really gets a few clicks away. The biggest leap we took was getting bank integration to a new level. Thanks to the smart and safe engine provided by SaltEdge and our development team, ThinkOut is capable to automatically get transactions data from bank account statements and assign them to pre-defined Income and Expenses categories. For the user this means that once the bank accounts are connected to ThinkOut, he only needs to click the Refresh button every now and then to get the latest data, then just read the results: indicators, charts, cash plan. 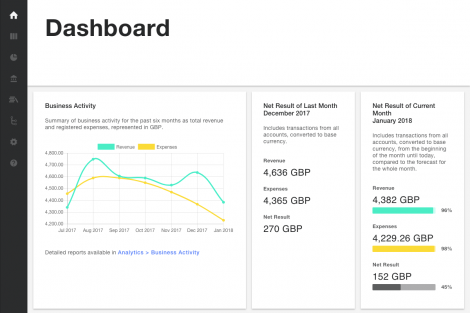 Dashboard with the main information a manager needs to know: business activity chart, total balance for all the bank accounts, cash runway, revenue and expenses of the past months. This is the first thing you’ll see each time you log in (except for the first time, when you need to connect the bank accounts first). With exactly one click – the picture of your business performance through the ”cash flow lense” unraveled. 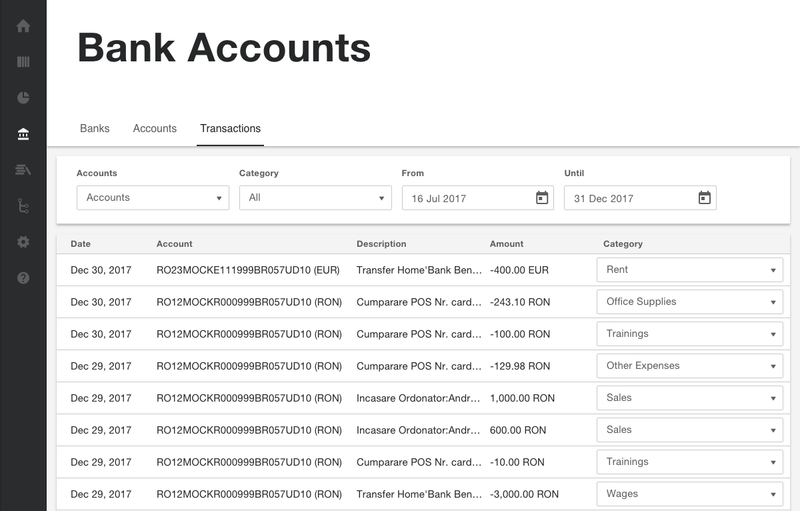 Our bit of magic stays in the bank integration feature, but we moved even further: the transaction information imported from the bank account statements is automatically assigned to pre-defined categories of Income and Expenses. The categories structure is the same as for the cash flow plan; though it’s already set, it can be customized according to your business specificity. Once new transactions are imported, ThinkOut appoints them to various Income or Expenses, but you can also re-assign them to other, better-suited categories. Another bit of magic is that ThinkOut is now designed to learn from the user’s behavior. At this point, it’s starting to learn, step by step, which kind of transactions are reassigned to different categories, so it can remember it for future imports. The goal is to reduce the number of user actions to the minimum; it means that you, as the user, wouldn’t need to make any more corrections, just refresh the transaction list and read the results. Now it all takes place in 1, 2, 3, 4 clicks: Login – Bank Accounts – Refresh – Dashboard. 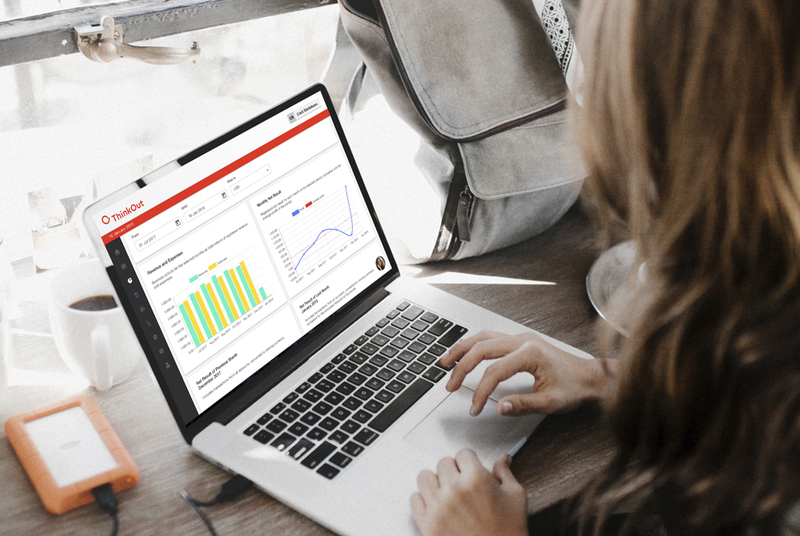 In less than 1 minute you get to see how the business is performing from the cash flow point of view with real-time data. We intend to apply this concept furthermore, to ”teach” ThinkOut how to make predictions automatically, based on recurrent transactions and financial patterns. But this is a story for another time. We’re launching into 2018 proud to have turned ThinkOut more friendly, accessible and useful with the least effort and time spent. Don’t believe it? Just try it.